Ok, we know that everyone loves to look at pretty pictures of an exciting future exhibit? But where do those pictures come from? At Good Design Group, our concepts are based on content--because pretty is only going to get you so far! Before we really come up with exhibit ideas, we take the time to map out the story. Why? Content generates ideas—ideas that will ultimately help the visitor understand your content. How does a visitor encounter your story? How will your space function? What stories get the most space? These are all questions we answer by working through a series of content plans. With a content plan in place, the exhibit concepts are literally built on top of it. 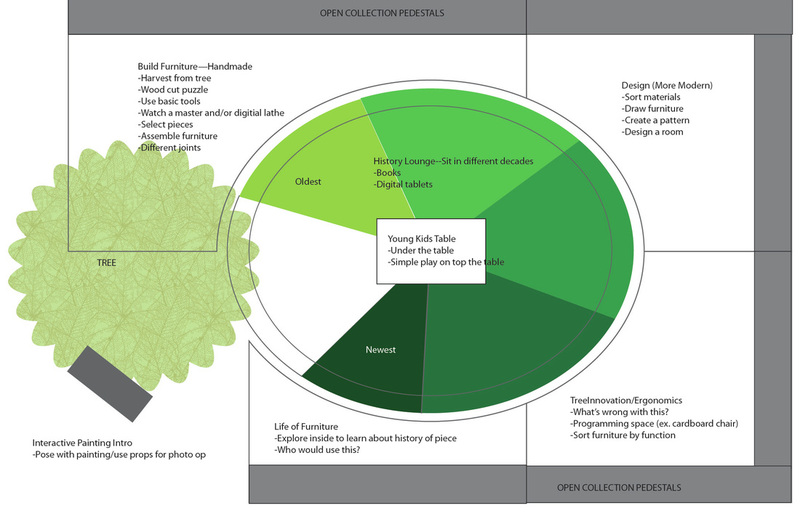 While not flashy, content plans become the backbone of our exhibit projects. If content plans are the backbone, then content outlines are the muscles—doing the heavy lifting of exhibit projects. Started at the very early stages of each project, these documents grow & evolve as the exhibit does. The result? A guide that carries the project through, making sure that the content doesn't get lost in the process.